Last week, we were down in the Tampa Bay/St. 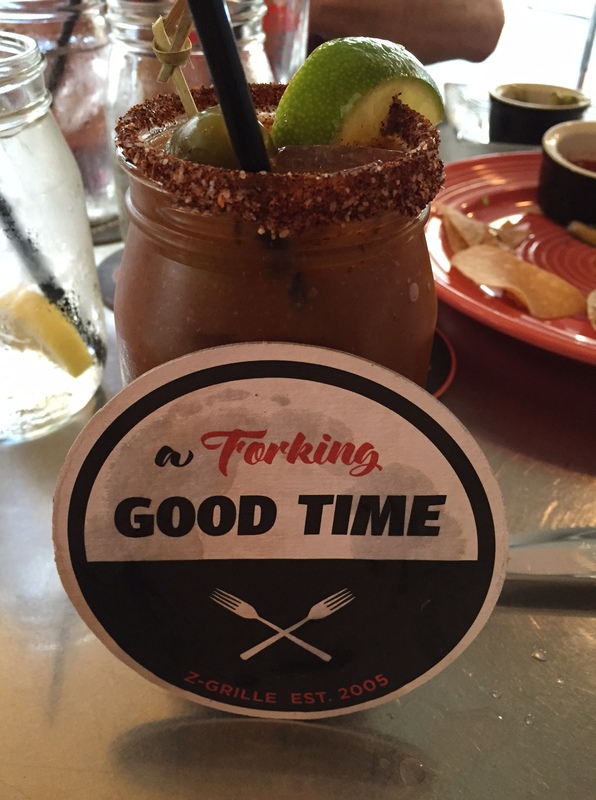 Petersburg area sampling Bloody Marys. Our first stop, based on a lunch recommendation and not necessarily a beverage, was Z-Grille. When we pulled up to the restaurant, I was a little skeptical. It is on the first floor of what appeared to be an office building; however, inside, the place was funky and eclectic, with a definite skater-culture vibe. Skateboards hang as decor and one of the main walls is essentially a skateboard ramp. The menu is also a little eclectic, but excellent. I had the seafood salad and it was divine. As for the Bloody Marys… when I inquired as to their Bloody, the waiter was kind enough to allow me to sample the mix. It was quite spicy and had a bit of a stronger texture than most–almost like a salsa. I give them bonus points for the mason jar (love that!) and the salted rim. This drink was probably my favorite in the Tampa area.